Going To Bat For Your Ex? Why? 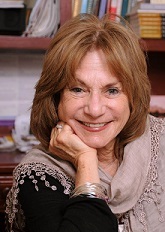 – Judith Ruskay Rabinor, Phd. I paused. I took a deep breath. And I wondered what to say. I understand how angry people can feel in the midst of a divorce, how vicious they can behave when they feel hated, betrayed and cheated. Because when I got divorced, I shared many of those sentiments. I was angry, hurt, resentful and disappointed, not only with my ex, but with myself. In my mind, I had failed at one of the biggest commitments of my life: marriage. When I became a parent, I believed I would be there for my children forever. I would do everything possible to create a good environment for them. And I knew that getting divorced would disrupt my childrens’ lives; there was no getting away from that. Although I vowed I would be there forever for them, after divorce I found myself with an ex who I didn’t particularly care for. Who I didn’t want a lot to do with. But I knew that children do better when they have two involved parents. So even though we were divorced, my ex would be in my life forever. In listening to my irate caller, I was torn about how to respond. Although I understood that his emotional response was normal, I have learned one of the very difficult lessons of divorce: a divorced parent’s responsibilities include not only being the best parent, but keeping the other parent in the loop. This translates into helping your ex be the best parent he or she can be — even though, especially in the beginning of my divorce, I’d have preferred if my ex had moved to Mars. Helping my ex be the best parent he could be? Let me tell you exactly what that meant. It meant prioritizing my children’s well being. I didn’t have to love or like their father, but I had to respect the significance he had and should have in the rest of their lives. It meant moving over, making room for his way of being. It meant letting go of all that happened in our marriage. It meant creating a new relationship centered solely on co-parenting. It meant letting go of old scripts, tapes, internalized messages. One incident early in my divorce stands out. I’d been divorced about a year when my 13-year-old son had a terrible blow up with his father. My son had been sleeping at my ex’s house and during this fight, came running over to my house, crying. Part of me felt tickled that my son saw how angry his dad was. I might have even felt a sense of vengeful satisfaction; now my ex would have to admit he couldn’t manage his temper — something I’d told him for years! Zach, just because your dad blew up doesn’t mean he doesn’t love you. He does. He just can get really angry sometimes. And sometimes we all get angry — too angry. It’s not a good thing but he’s your dad and he loves you. Even though we were divorced, I went to bat for my ex. I tried to hold in my mind the mantra: Children benefit when they have two involved parents. I tried to treat my ex as I would have if we were still married — with compassion and forgiveness. I know it sounds difficult and maybe flies in the face of what you have been led to believe about how to treat someone who has hurt you deeply, but that is what came to me in that moment. Comforting my son was first on my agenda. Then I called my ex. I invited him over to my house and when he came in, he apologized for losing it. Eventually, I left the room so he and my son could reconcile. Later, my ex thanked me. And in the many years that passed between that incident and his death just last year, my ex referred back to that moment frequently. Perhaps that moment was a turning point, because in the decades that followed, my ex went to bat for me in so many profound and significant ways — sometimes concretely, at other times, emotionally: helping me negotiate with a slippery car salesman, helping me straighten out my mother’s finances when she was diagnosed with dementia, comforting me when our daughter moved to California and I felt bereft, and later on, when my second husband was diagnosed with cancer. So back to the caller, who wanted to know: why befriend someone you can’t stand? I told him my answer is both simple and complex. Children need two parents. Your ex may have been an unsuitable mate but still can be a good parent. Helping your ex be the best parent he or she can be will benefit your child and ultimately may benefit you as well. Your mandate now is not only to be a good parent, but to help your child have two loving and involved parents. And even though you and your ex may have failed at your marriage, you can succeed now, and build a strong “after-divorce” family. I came across your book at a bookstore last week, and it stopped me dead in my tracks. I’ve done the soul searching, and asked the difficult questions, and I know where I failed as a husband, friend and partner, but the simple math at the end of my marriage leaves no question that I was wronged, and that co-parenting means, more than anything, a compromised relationship between me and my children – what feels at worst like a prison sentence every other bloody weekend. I had never known hate in my life until I got to divorce. It is everything everyone says it is. Rotten. And yet, I wish, despite everything, I could be friends with my ex. It’s a desire that was always there, but I did not know, or trust it. The title of your book was a shock to read, and as I began to leaf through its pages I began to realize what a difficult thing it is you are proposing. So difficult, I put the book back on the shelf. But I know I will buy and read it, and try to follow through on its goals. And maybe my courage will follow along. It is a stabbing pain to read the word Family in your text, and in all others that make the case for “Good” divorce. The most sacred of words, of concepts, of emotions, being dressed to cover the injury done to it, and put out on parade to propagandize it’s currency. Such a scandal. Mom’s House, Dad’s House, indeed! But there’s no going back. You have however posed a challenge. I believe you, your book’s title and sub-title. But you’re asking a lot, you know that? All of you in the good divorce business, no matter how well meaning or rational, you’re asking a lot.